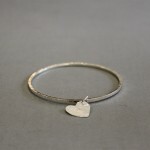 Traditional hand forged sterling silver bangle with hammer markings and hanging heart detail. 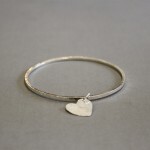 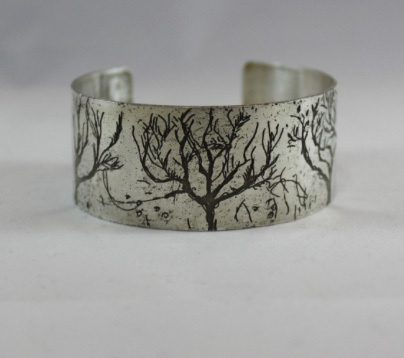 Hand forged silver bangle with hammer markings and hanging heart detail. 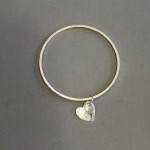 Light: 2 mm Silver Square Wire.